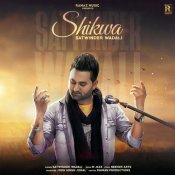 Ramaz Music proudly presents the brand new single released by Satwinder Wadali entitled “Shikwa“, music by M Jazz!! ARE YOU Satwinder Wadali? Contact us to get a featured artist profile page.